Following on from last year’s highly successful campaign to help reduce the number of traveller accidents and incidents associated with ski and snow holidays, ABTA have re-launched the Get Fit for Ski campaign, with some updated ski related guidance and tools to help prepare holidaymakers for hitting the slopes. 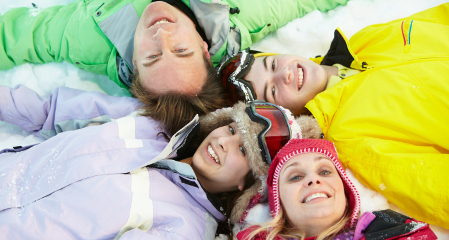 This includes a safety leaflet called “How to Have a Safe and Healthy Holiday in the Snow“, a “Get Fit for Ski” fact sheet which features a series of recommended exercises with advice on stretching techniques and a dedicated website page on ABTA.com which includes the leaflet, factsheet and some video exercise footage. Furthermore ABTA have once again collaborated with the FCO (British Foreign & Commonwealth Office) to highlight the importance of travellers taking out appropriate insurance prior to their winter sports holiday. The campaign features top tips to stay safe on the slopes and a Winter sports Checklist with advice for travellers on insurance, fitness, equipment and piste safety. If you wish to visit the dedicated ABTA webpage or find out more about ABTA please click here.